Sharing information with a friend and some real blasts from the past came up. It was before my time down here but hopefully someone could fill in some details about some Mining League clubs that are no longer around, or confirm anything that is correct. St Ives Dodgems I believe to be a forerunner to the present St Ives Town. Played at Splattenridden before moving to The Saltings. Even went on a tour of America! Pengegon from Camborne. Played at Park Road? Heathcoats SC also from Camborne, played on the cricket pitch behind Camborne Cricket Club itself. Trevu from Camborne. Don't know where they played. St Erth played in a field in a lane on the Marazion road. Love Lane? Long Lane? J & F Pool Hayle based works team that played on Horsepool Road in Connor Downs after losing their Guildford Road ground to the Industrial Estate. Carnon Downs Old Quay from Devoran played at Duchy Grammar School on Tregye Road but I don't think Carnon Downs did. Any information would be greatly received. 'A' Division Police played at Park Road in Camborne. Camborne Plough From Camborne but unsure on their ground. Camborne SoM I know they are still going but this was in their original Mining League guise before lodging at Wendron. Played at Crane Road if memory serves me right. Russell Hall Not a scooby on these boys so any information would be useful. Treliske played on a sloping pitch which now necessitates a mortgage to pay for the privilege of parking your car there. Whears Wanderers no idea where they were based, played or who they were! 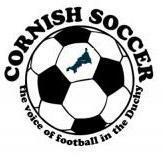 Truro BRSA later to be known as the more familiar Truro GWRSA they played at Boscawen Park. Trevue and plough as well I think played where st. Meriadoc school is now, next to Camborne Rugby ground. There used to be two pitches there, Camborne RBL played on the other one. Whears Wanderers - no idea,may have been a 5 a side team? Whears were bottom in division 2 in 1981 in the last printed table in the West Briton. A Div.Police,Antony Western Kings,Barripper,Blackpool,Bodmin Town,Camborne Plough,Centrepoint,Cheesewring,Cornwall College,Cury,Duchy,Endeavour,Essa 81,Exiles,Falmouth Youth Club,Fowey,George & Dragon,Grampound Road,Gulval,Gweek,Heamoor,Heathcoats,Heavy Transport,Ladock,Landrake(? ),Malabar,Mawgan,Menheniot,Mylor,Nancegollan,Newquay Bunt & Coker,Notterbridge,Penwith Exiles,Penwithick,Polruan,Pool,Porthleven,Port Isaac,RAF St.Mawgan (?),St.Erth,St.Lawrences,St.Mabyn,St.Mellion(? ),Sennen,Tideford,Tortude,Treliske,Trispen,Truro BRSA,Truro Daniell and Veor. I believe there were two pitches at Park Road. Were there changing rooms there? It's a shame when in the days when changing rooms weren't always a necessity that these grounds had them in place. Two what were perfectly good pitches with changing rooms and now look at them. Tregothas Farm is listed as Fraddam if it's still there. I always remember them playing on the same pitch at what i think was Long Lanes and which appeared to have cows on it before the match. Tregothas Farm was taken from the club directory for that season. The bottom end,pitch sloped downhill(or uphill lol),was a mess where the cows had been standing and moving around. Did Busby play at Polstain Road or somewhere else? In the 1950s there was a Truro Charity Cup and was won one year by Daniell Road who beat Trelander. Busby Gents played out at Baldhu at one stage adjoining the road from Chacewater to Carnon Downs. It's a real shame that stories and memories can't be made into a book for the Mining Leagus. The Falmouth-Helston and Duchy Leagues had books written about them. Would love to see some of these old pitches. Not nice to try to play on but that's the way things were back in the day. Back in the days when folk just got on with things and snowflakes were only around when it snowed. Did anyone use the pitch at Roskear School? It was the days before Castle United. The only users that i can think of would have been Pool SC back in the day. And Pool SC were in the Falmouth-Helston League? Played at the pitch at Baldhu a couple of times, but cannot remember exactly where it was , any ideas ? It was right on the junction of the Chacewater- Carnon Down Road with the road leading down to Hugus John. Gulval also played at Badger's Cross before moving down to Penzance. Mining League 75th Anniversary on Sunday 15th March 1981 at Oxland Park Illogan. Mining Division Division 2 v Camborne-Redruth-Truro Referees Association. Kwesi Eyuyan Camborne S. M.
Unfortunately the score remains a mystery, but the Mining League won and Ray Rowe scored an own goal! David James scored both goals for the referees side Dave . You must know no knees James! Great day at Illogan ! The same David James listed in the match day programme for Marazion Blues against Falmouth Town in 1978? Incidentally Marazion were hoping that soon their supporters will be able to watch from a grandstand!